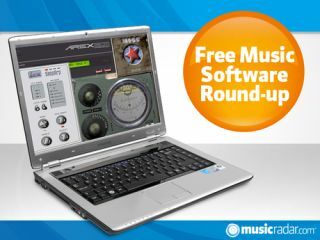 Prepare to flex that download finger once more as we bring you another round of music-making freebies. Sadly, once again only Windows users are catered for; we've been accused of PC bias recently, but we can only cover what's out there, and unfortunately, new free Mac software is a touch thin on the ground at the moment. That said, Apple users can always check out the 13 best free VST plug-ins in the world today, as many of these are OS X compatible. Described, curiously, as a set of "naïve dynamics plug-ins", this new collection features a softknee RMS compressor, hardknee peak compressor, hardknee booster, softknee booster and side-channel hybrid. If you want them in stereo you'll have to pay £15 each, but the mono versions are free. This emulation of Yamaha's '80s-era RX11 drum machine features 16 pads, 29 samples and 12 individual/group outputs. It's 16-part multitimbral and comes with RX11 MIDI swing templates and 55 demo patterns. Did we mention that it looks a lot like the original hardware too? Two more tasty morsels from WOK, both of which were inspired by 10cc. Just one knob is all you need to create "deep ambient spaces and choirs": TenC is designed for chorus, while 100CC gives you chorus ambience sounds. If you're 'not in love' with these plug-ins soon, we'd be very surprised. Sorry. The clue, as is so often the case, is in the title. This is a simple arpeggiator that can be used with your synths and offers such features as host sync, shuffle and adjustable note length/velocity. WOK will be releasing a more sophisticated dual-arpeggiator plug-in, D-ARP, soon.